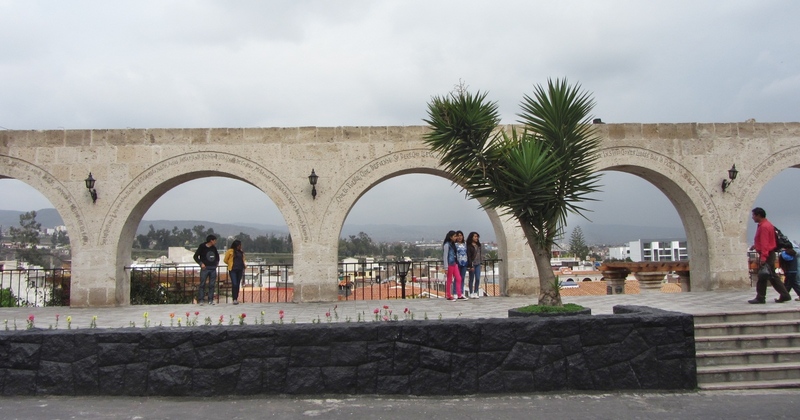 I arrived in Arequipa mid-morning after an epic 40 hour bus ride from Mancora. Thinking next time paying four times the fare to fly in just a few hours might be worth it. However, if you’re not in a rush and like to mingle with the locals, the slow “luxury buses” in Peru are affordable, comfortable, and interesting. Seats in VIP class are relatively inexpensive but have ultra-comfortable reclining leather seats with excellent entertainment consoles – current movies (English and Spanish), fantastic music – classical, jazz, Latin, Peruvian – and games if that takes your fancy. Unfortunately, the Internet was lousy and barely worked – maybe a good thing. The food served was comparable to airline food. The bathrooms were really awful – clean but extremely small and close-sized, so it was even difficult brushing your teeth. I enjoyed the day-time scenery and meeting and talking with Peruvian people. The main issue with the buses is disembarking. Claiming your luggage can be time-consuming and stressful, but every time I thought mine was lost, it miraculously appeared at the last-minute! Figure in a few extra hours between bus connections, because although the buses are on time, other complications almost always occur. 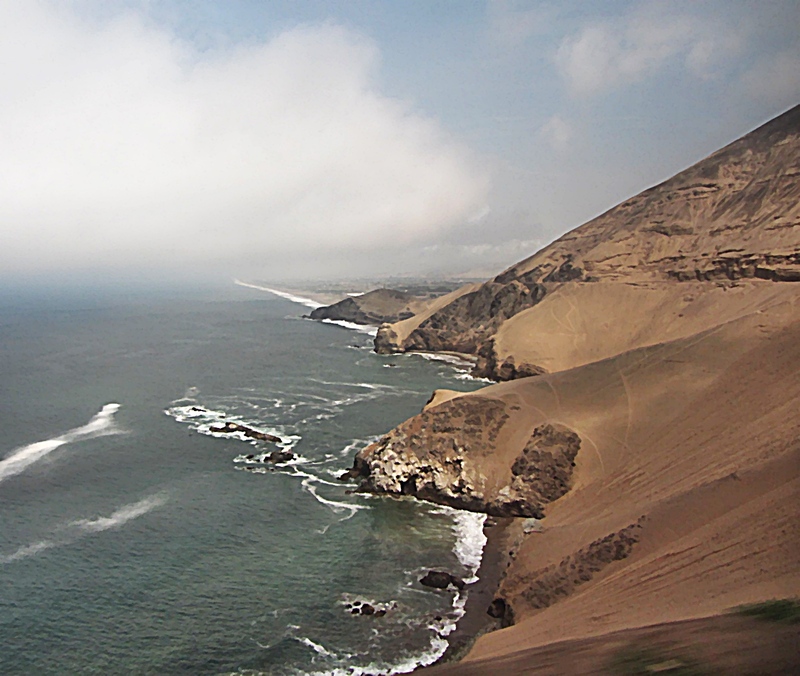 The Cruz del Sur bus route follows the coast most of the way from Mancora to Lima. After Lima it splits off and climbs inland toward the Andes and Arequipa. The coastal desert terrain is flat and planetary looking but the playas, coves, sunsets, and sunrises are breathtakingly spectacular. As we climbed higher into the mountains the terrain became more dramatic with beautiful craggy peaks rising on both sides. Could be suffering from bus lag (versus jet lag) as well as the process of acclimatizing to the new higher altitude but Arequipa seems like a perfect world. The streets and architecture are fascinating, and the unique ambience has me wondering what other city or cities it reminds me of – not just in Peru and South America but also in Europe and Asia. The people are happy, soft-spoken, organized, and helpful. Also it’s absolutely spotless – no trash on the streets and the buildings are in excellent condition. Almost every street I’ve seen so far has at least two pastry shops with delicious looking cupcakes, elegantly frosted cakes, special cookies, and lacy tarts tastefully displayed in the windows. I finally gave in, stopped for a cappuccino, and bought a few small pastries – delicious but not too rich. 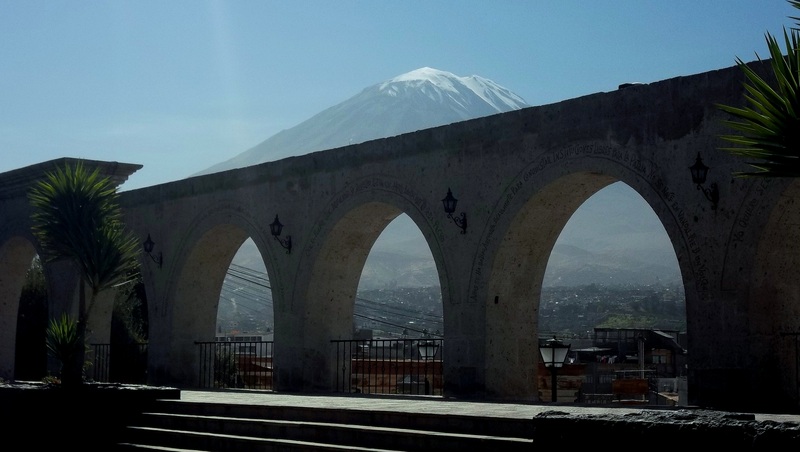 There are endless adventures to experience around Arequipa – climbing, trekking, or just visiting the volcanoes and mountains, horseback tours, camping, white water rafting on the Chili River, mountain biking, enjoying the hot springs, and viewing wild life. The city is full of museums, galleries, cathedrals, artesian shops, great restaurants, and parks. I booked a city day tour for Saturday and am giving myself until then to acclimate and explore on foot. 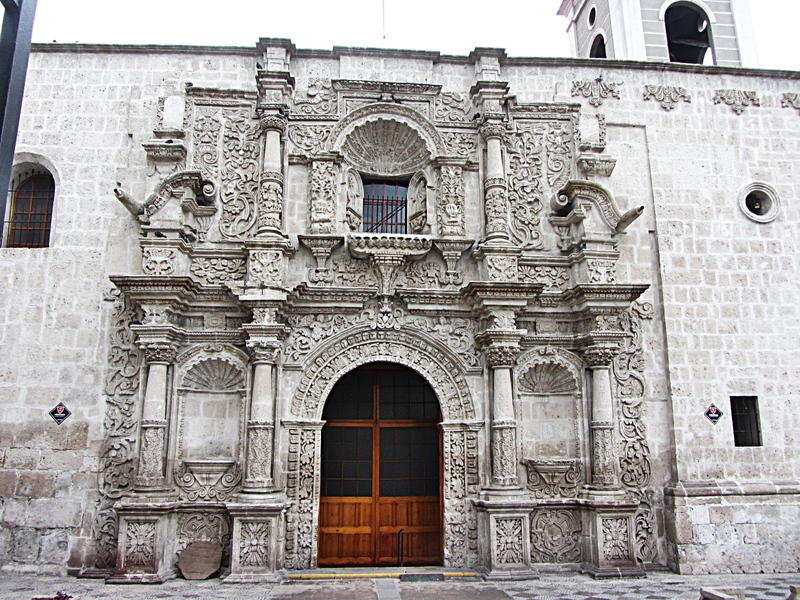 The historical center is a UNESCO World Heritage site but there are colonial buildings all over the city. 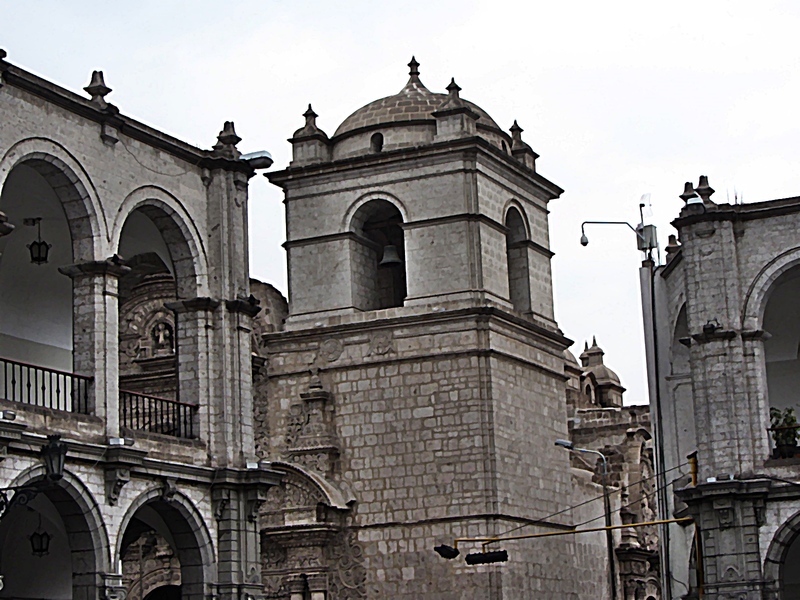 Arequipa dates back to 1540, and is in amazing architectural condition, considering the massive earthquakes that have hit the city over the centuries. I will pick a different area to wander each day and enjoy the atmosphere. Spoke with a tour guide about a two-day, one-night trek, and Colca Canyon sounds like the best match for my ability. It’s not easy but think I can do it after a few days of getting used to the altitude. Each day of trekking involves 7+ miles of varied terrain and difficulty from steep climbing, to relatively flat areas, and some downhill. 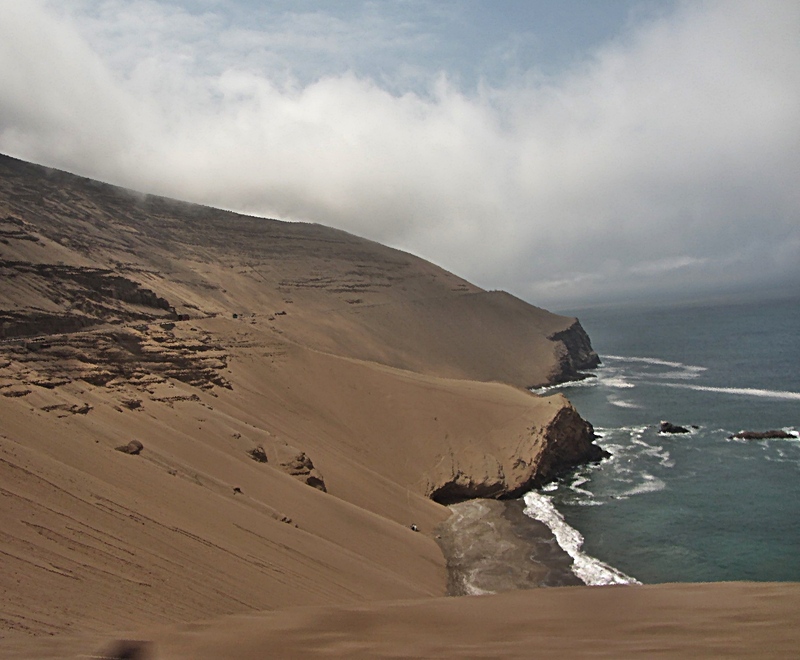 The vistas are amazing with interesting stops along the way and condor and alpaca sightings. 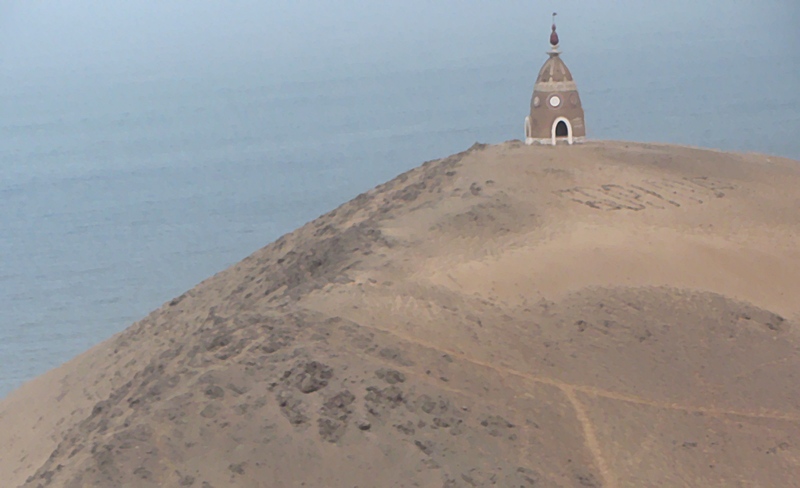 Cruz del Condor viewpoint is the best place to see condors. The longer treks sound more challenging and require climbing experience, so probably not for me. 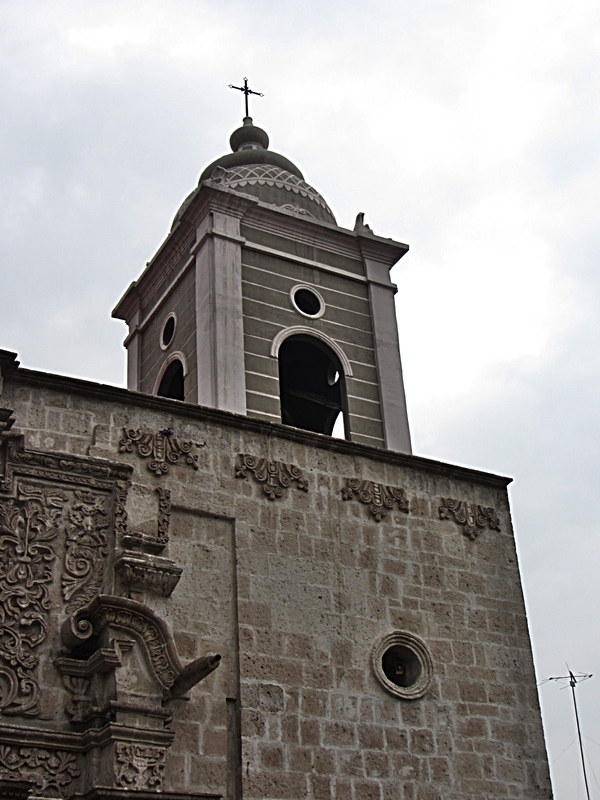 My hotel is in a quiet residential area called Yanahuara about a mile from the busier parts of town like the Plaza de Armas which is quite beautiful and popular. During the outing today I ran into a street parade and a neighborhood cathedral celebrating a holiday with fireworks. Afternoons often culminate in a light to heavy rain storm that clears quickly. Luckily it was just a few sprinkles today. It was overcast when I ventured out so wasn’t able to capture the surrounding mountains which are a magnificent backdrop to this incredible city – hoping tomorrow will be a better photo day. This entry was posted in Peru, South America and tagged Arequipa, Chili River, Claustros de La Compania, Colca Canyon, Mancora, Yanahuara by suemtravels. Bookmark the permalink. 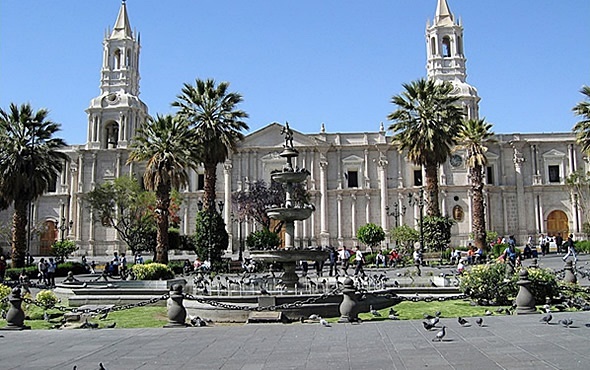 Ricardo and I have great memories of Arequipa – we did a day stop there while on a cruise ship in 2001. And I’m starting to think about a trip to Lake Titicaca and some multi-day hiking in Bolivia/Peru – take good notes! And keep on posting; I really enjoy them!